Our product range includes a wide range of industrial water heaters. In order to fulfill the ever changing demands of our clients, we have been engaged in offering a quality range of Industrial Water Heaters. 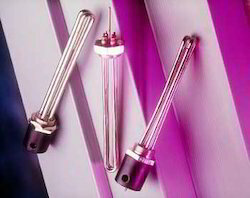 These heaters are manufactured under the close supervision of our experienced professionals using high quality material. The material used in the manufacturing process is sourced from vendors of high repute. Looking for Immersion Water Heaters ?